Death is a natural progression of life. The truth hurts but there it is. 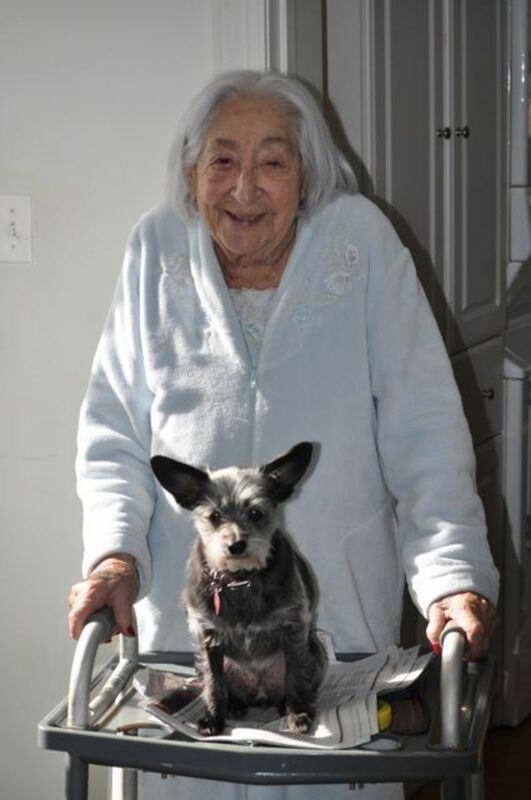 My mom is 95 and I've been her caregiver for 4.5 years now. During a week long hospitalization in November, 2010 for pneumonia, I had a lot of time to do some reading and writing as I watched her struggling for breath that first night in her hospital bed. The doctor in the ER had pretty much given us the word that death was looming - he gave her a 40% chance of making it through the night. So, as I wiped her brow and watched her restlessly move about the bed and try to get up, I wondered what was causing these new actions as she's generally a restful sleeper. When the nurse came in at 4 am to check vital signs (I waved her off), I asked her about the movement - she looked at me for a moment and then told me about what to expect when death looms. This article is a result of that very first conversation and my further delving into the subject. Although I write from the perspective of death in a senior citizen, the signs and symptoms of death are the same in people of all ages. And, while they're with us, cherish every single moment you can. Shower them with gifts - a gift can be something small like a surprise visit or something bigger like one of these items I've found on my article: Great Gifts For Senior Citizens - I'll bet there's stuff there that you've never thought about like large button TV remotes or talking alarm clocks. I also 'gifted' my Mom's sweet tooth with a lot of homemade dessert shooters - mini desserts served in small glasses. They were just the right size for her liking. Mix up a few Mini dessert shooters for your favorite elder. Why not sit a spell and enjoy a dessert with them? BTW: My mom is fine. She's home after 5 days in the hospital and better than she's been for a while. Her pneumonia must have been around a while (asymptomatic) as her mental status decline was probably a result of the bacterial infection. Read more about sign and symptoms of pneumonia in the elderly by clicking Signs and symptoms of pneumonia in the elderly. And, finally, here's another great article about the emotions you might deal with when someone close to you dies: Death of a loved one. 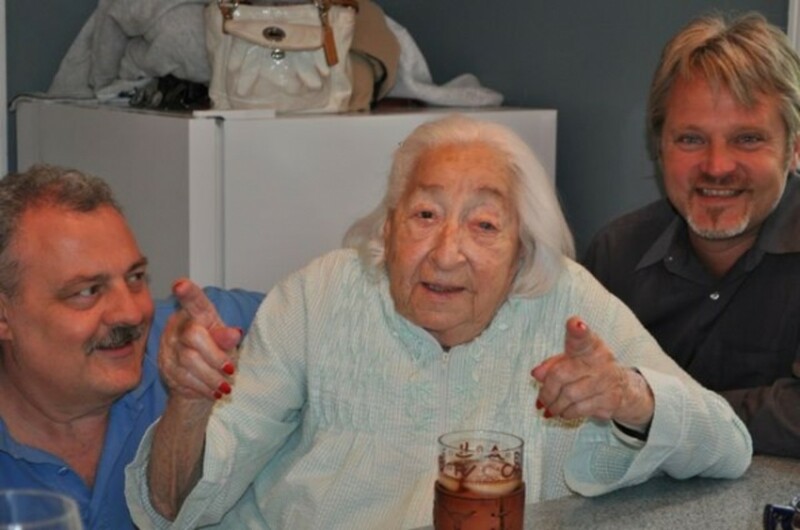 Update October, 2011: Mom turned 95 on October 28, 2011 so what did we do? Head off on a cruise! Cruising with a 95 year old can be a bit of a challenge, and I've written about it in this additional article: Taking a cruise with the elderly; things you MUST know prior to embarkation. We had a blast and, in retrospect, I'm so glad we went. It was another good week together (well, minus the hellacious storm and my seasickness..). Another update November, 2011: 1 short week after the cruise, Mom fell and broke a hip. She's a trooper though - a full recovery is expected. Here's an article I wrote about caringbridge.org - a website where I update friends and family about her health status: CaringBridge.org - when health matters most. 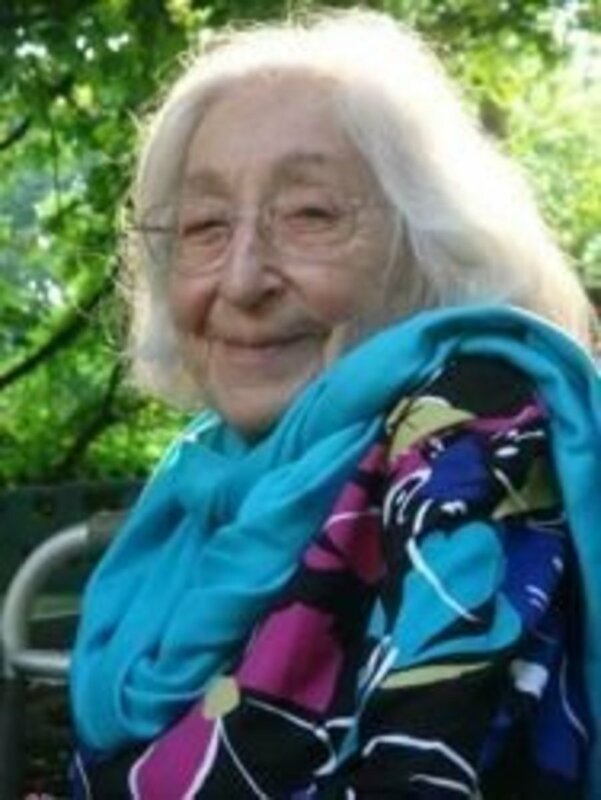 Update July 19, 2012: Mom died Feb 15, 2012. Far from being tragic, her death was an easy end to a wonderful life. Mom certainly deserved the sleep, having worked very hard at living the last two weeks. Her death followed the typical pattern outlined in this article, and, in fact, I've updated it from a (now) even more personal standpoint. I miss my Mom greatly but am comforted by the best friends (both near and far) anyone can ever have. 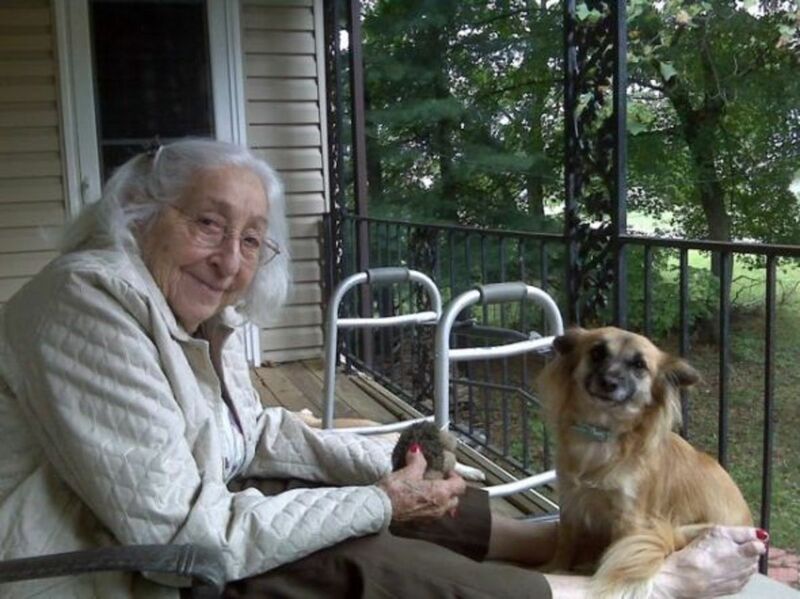 I am also so very glad that I had the resources to keep her at my home and to be with her when she died. Neither of us could have asked for more. 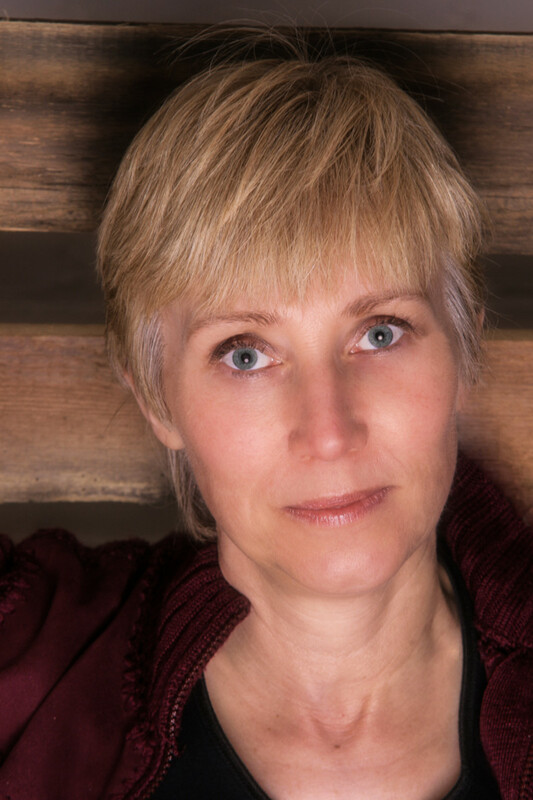 Update: August 10, 2012: I just had a friend die just the day before her 49th birthday. She fought a valiant fight against cancer and went way beyond her life expectancy. Still, it was quite sad that she didn't see 49. Here's a very interesting article that discusses a new study that shows people have an increased chance of dying on their birthday: People are more likely to die on their birthday, study finds. Here's one more article that you might find helpful: Death and dying - dealing with the restless patient. 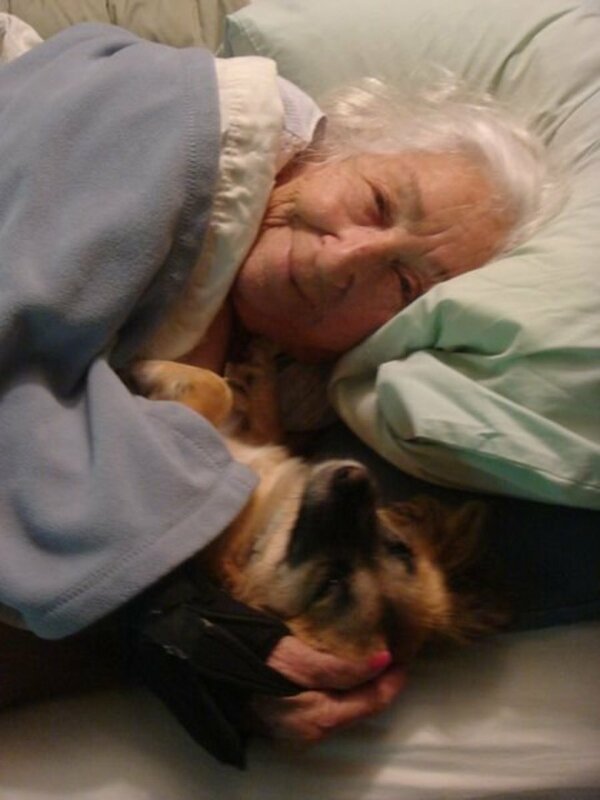 I caught Mom and Rita snuggling in bed one morning. 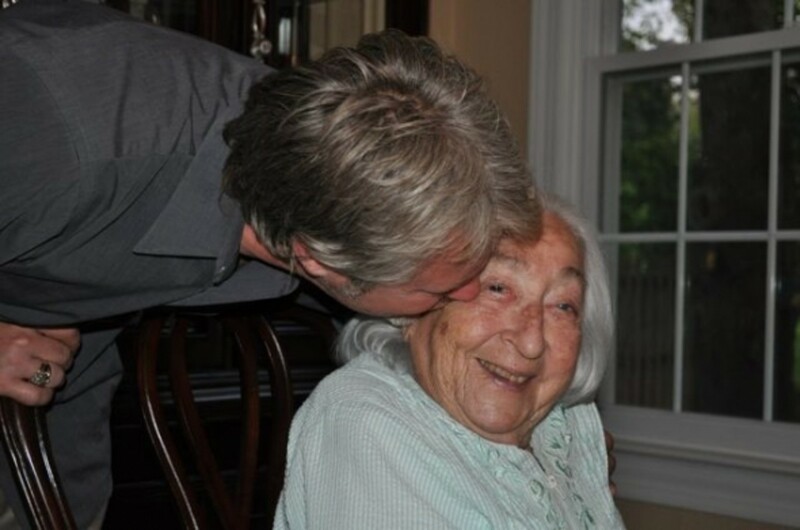 I started my first website, GoodGiftsForSeniorCitizens.com when I was home caring for Mom. I was an expert at finding good gifts for senior citizens as I just had to be. Day Clocks - these are clocks that show the day of the week along with the time. Handybar - this is an aid to helping mobility challenged people get into and out of the car. There have been times in the recent past where my Mom's personality has shifted. Normally a cheerful, very funny woman, she would suddenly become agitated for little reason, become restless before bed, and become withdrawn from my friends who visit and family who come by. I thought she was being difficult and told her so. Sure wish I hadn't done that. What my Mom was doing was signaling us (without knowing it) that she was preparing to, one day, say goodbye. The fact that her personality was slowly changing was, I think, preparing me for missing her as, in a strange way, I sort of missed her even when she was physically with me because, sometimes, emotionally, she wasn't. The below are some of the signs and symptoms of impending death. Please note: death is a very personal experience so these signs and symptoms of death are generalized - not everyone will experience all of these symptoms and some may experience different symptoms of dying. Please read through this carefully and share this article - everyone should be aware of these death signs so that they're compassionate to those going through the stages of death. It helps me immensely to remember that there are things that Mom cannot help - she's not being difficult, she's just helping me prepare to be alone one day. I felt sorry for those family members who took Mom's personality changes personally - they weren't at all meant to be that way. But, those who don't understand can frequently get their feelings hurt. Withdrawal. A person facing the last portion of life on earth may withdraw from daily life. The withdrawal may be physical, such as sleeping most of the day or appearing almost to be in a comatose-like state or, the withdrawal may be emotional. 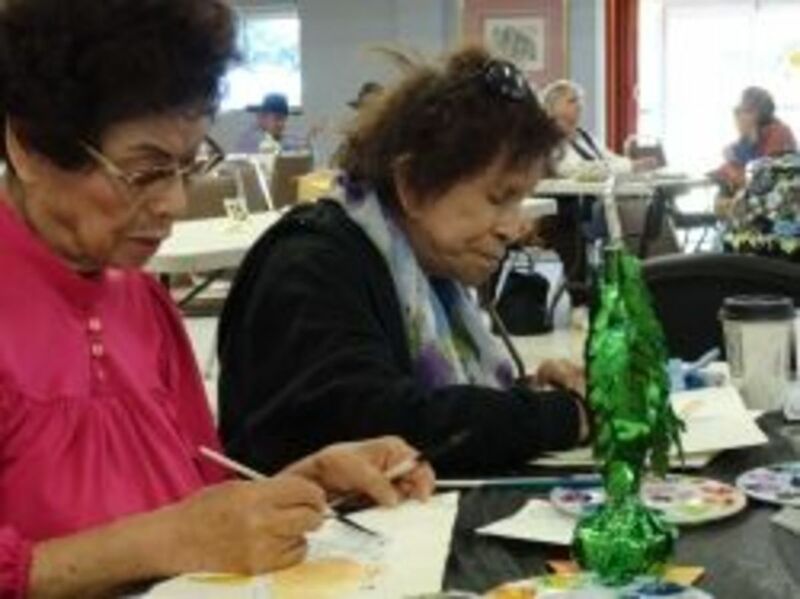 The elderly loved one may not want to spend a lot of time talking with family and friends. Restlessness. Those in the last stages of life may appear restless for no reason. They may pull at the bed covers, try to get up from bed for no reason, or thrash around the bed. This restlessness may occur as blood flow to the brain slows. Restlessness, though, may also be a sign that your dying loved one has unfinished business to tend to. To prevent the bedsheets from becoming tussled, you might consider buying a set of bedsheet suspenders which attach under the sheet to keep the sheet pulled down and straight. This can help shield against bedsores also. Changes in appetite. This is probably the toughest symptom of dying that a caregiver has to endure as, well, what we do is provide nourishment for our loved ones. And, in my Jewish upbringing, what do we do? We feed - they eat! So, my offers of my Mom's favorite foods of past such as blintzes or matzo ball soup are frequently turned down. I used to take this as an affront to my cooking until I started to research death and saw that refusing food is a typical way for the body to prepare for death. Not sure if I was pleased to find this little tidbit out but the cook in me did let go a sigh of relief. Hospice workers also put this symptom in perspective for me. I was so concerned about Mom growing weaker but the excellent Hospice nurse told me that the body naturally slows down and forcing food is a bit cruel as the body can't digest the food as it used to. Bloating and uncomfortable feelings, such as constipation, can occur. Therefore, let the dying person dictate what they would like to eat. It's tough but must be done. Here's a great article about feeding a dying person: Food, nutrition, artificial feeding methods, constipation, and quality of life issues in the dying person. Incontinence. Toward the end of life, the dying person may not recognize the body's signals to urinate or defecate. In addition to not recognize the symptoms of needing to "go", the body's muscles relax and there might not be any control of these activities any longer. For more about how to deal with incontinence in the elderly, read my articleIncontinence in the elderly. It was amazing to me how quickly I adapted to helping Mom stay clean and dry. The first few times were very difficult but, when I realized that it's just a part of life and dying, I quickly got over the queasiness of the situation. Changes in breathing. 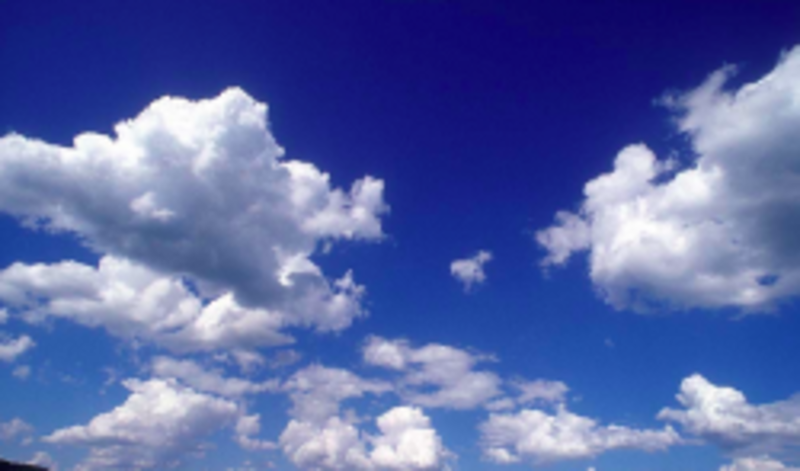 As someone nears the end of life on earth, breathing patterns usually change. Instead of the slow, deep breaths of a sleeping person, the dying breaths may become shallow and rapid followed by pauses in breathing all together. These pauses may last from 5 seconds to a full minute. This is very difficult to watch so be prepared. But, changes in breathing in the dying person is very normal and not at all painful for them. Note to caregivers: As you sit by the bed and watch your loved one strive for breath, you might find yourself meeting their pattern. Remember to breathe! Gurgling sounds in the back of the throat. 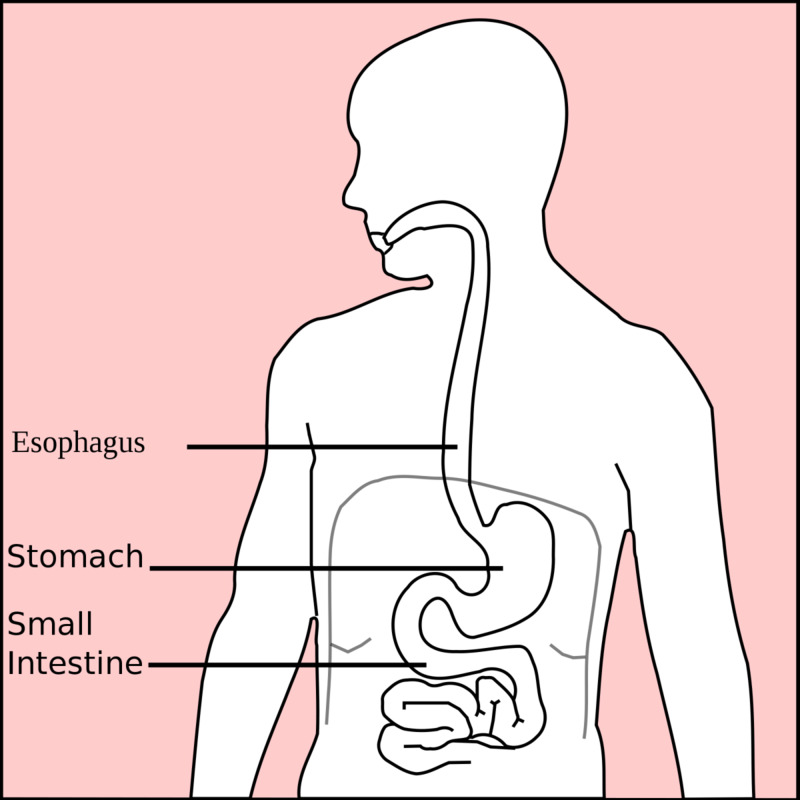 Although these gurgling sounds may sound painful, the dying person is not in any kind of pain. The gurgling sounds occur because the dying cannot swallow so saliva gathers in the back of the throat. And, in addition, depending on the medications the dying person is on, the gurgling may worsen as the kidneys stop producing urine so there is more water present in the body. Changes in body temperature. The dying body naturally will try to keep the internal organs warm so the extremities of a dying person may feel abnormally cool to the touch. But, a fever may also exist as the body's natural regulation of temperature weakens. Sweaty or clammy skin may occur with or without a fever. With changes in body temperature come changes in the look of your loved one. The lips may take on a bluish cast, the skin may pale or become blotchy or purplish as circulation slows. These changes are normal signs of dying and are not painful to the your elderly loved one. Delusions or Dementia. As blood supply to the brain slows, the dying may become delusional. They may start talking out loud to others we can't see (and, who is to say those others aren't surrounding our loved one?). Frequently, those close to dying will utter words about "Going home." Some see this as a symbolic meaning and others see this as a way for the dying to signal to us that they're about to travel to somewhere else. This book is free through the Kindle lending library. I wrote my latest eBook to help other caregivers who tread in my sometimes astonishingly difficult path. 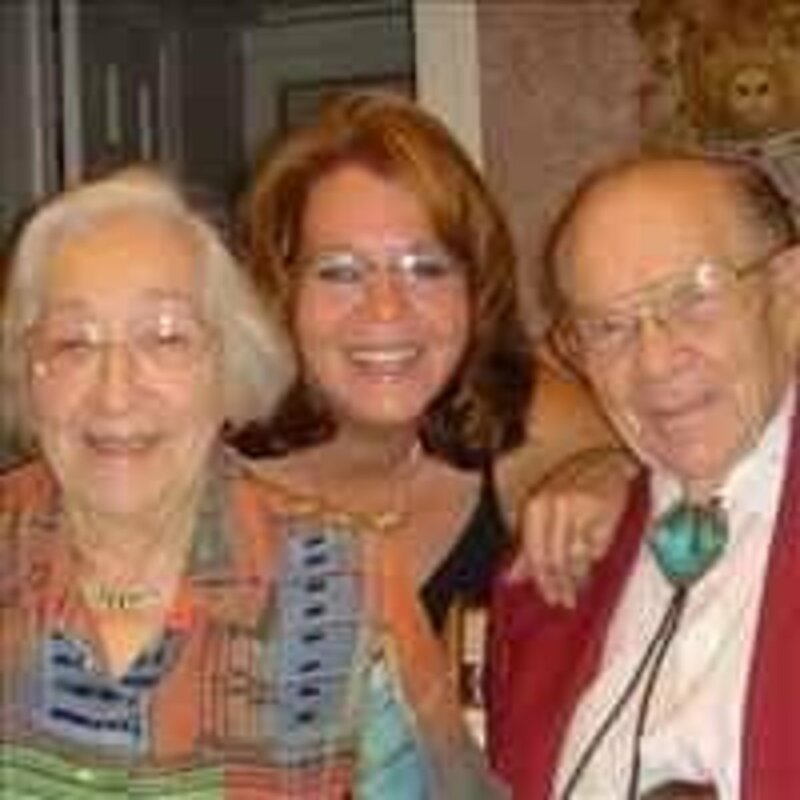 I was lucky to have had the easiest elderly loved one, my Mom, to care for the last 5 years of her life, but, when I started caregiving, I had no idea of some of the challenges I would face. I learned by the seat of my pants - and, well, with Mom's gentle guiding hand. This book is 15 chapters of things I wish I'd known. For those caregivers out there, here's my article The long goodbye - when your job as a caregiver is ending. All three of these books got the highest reviews possible (5 out of 5 stars) on Amazon.com. I haven't read any of these personally, having found them a year after my Mom died, but I read the reviews and they're awe inspiring. If you or a loved one is facing dealing with the end of life as we know it, these books might help you understand the process. A few of my other articles you might like. Here's an article I wrote about Things I wish I had known when I first became a caregiver. I didn't write this article the next article, and, thankfully, I couldn't have as it is eloquently penned by a physician who is dying. He puts things into words from both the side of the patient and the physician within him. It is beautifully written and well worth the read: A guide to dying. As my Mom's primary caregiver, I believe in being prepared. These books about death are on my wish list. This is one of the best books on the market for those of us who are responsible for the care of our elders. This book is not just chocked full of information, but it also contains some valuable checklists to help you care for and manage the care of an elderly person. Caregiving is both the hardest and most rewarding job I've ever had and this great resource book helped me be successful at caring for Mom. 17 reviewers have all given it 5 stars. This book on caregiving would make a welcome addition to any home library. Pick one up today for your loved one's caregivers. As I perused the internet during my days of caregiving for Mom, I was always glad to find resources like those below that helped validate both my feelings and my experiences taking care of the dying patient. There's also some good links to organizations which might help you cope with death, dying, and grief. This article reviews a study done in Switzerland between 1969 and 2008. The study looked at the birth and death dates and statistics of over 2.5 million people. The findings might surprise you. Another interesting article about the propensity of people dying on their own birthdate. This is an excellent article documenting the 10 most frequent symptoms of approaching death. It's a must read companion to my own article. Here's an article explaining what a DNR order means. Note: this might be tough reading for some. I found this frequently asked questions page fascinating. I liked reading through the questions of others and seeing how often the same issue was in my own head. I don't know how Mom and I could have gotten through those last months without the help from hospice nurses, clergy, and social workers. They were blessings for both of us. Here's information about hospice in general. 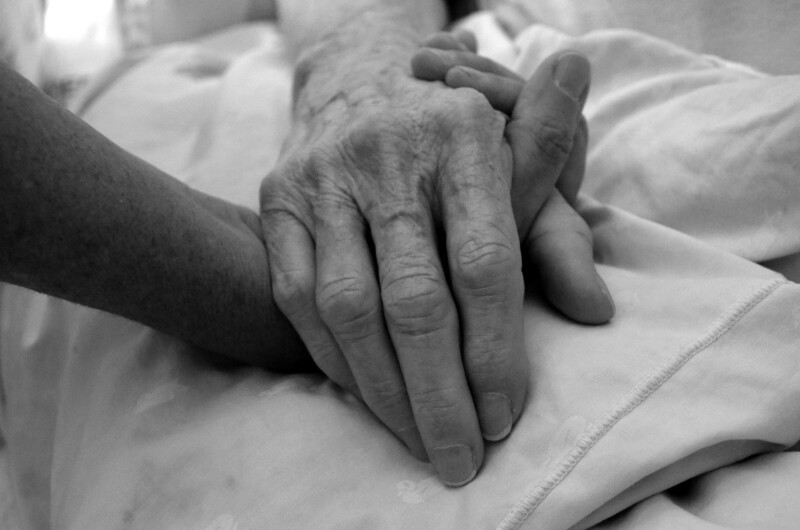 This is an article I wrote as we decided whether or not to enroll Mom in hospice. I am SO glad we did! Caregiver self-assessment questionnaire. How are you? The American Medical Association's questionnaire is geared toward the wellbeing of the caregiver. You can download the questionnaire here in either English or Spanish. Another American Medical Association article which covers dementia. Most dying patients will probably show some signs of dementia as their organs slow down or stop functioning. This excellent article goes over signs of death and dying also. One of my favorite pics of all time - Mom and Rita having a conversation. Montgomery Hospice was truly a blessing to me and my friends as we eased Mom towards her last moments. I'm sure those last moments would have happened with or without Hospice but, for my sake, Hospice saved my sanity. The Hospice personnel were not only very knowledgeable (which I was not back then) but they always took the extra step of educating me. Death can be scary but, with Hospices' guidance, it wasn't at all. Hospice Myths and Facts - Some people believe Hospice is where you go when nothing else can be done. That's simply not true! Please read my accompanying article: Things I wish I had known before I became a caregiver. Your loved one may be lying in their deathbed and suddenly sit up and ask you something mundane - like, "Did you feed the dogs?" Now, this can be a bit unsettling but, if you're there, consider this time a blessed memory. Take a moment to talk with your loved one and ask them if there's anything they'd like or need you to do. It could be that your loved one arose after a cerebral need to finish something or make amends. Speak softly to them and remember to cherish the moment. Important note! : If your loved one is in a hospital bed, make sure to lower the bed towards the floor to its lowest setting if no one is in the room with them. My hospice nurse mentioned to me that people who have been bed bound for months may suddenly "make a break for it" and fall to the floor. The things that matter most in our lives are not fantastic or grand. They are the moments when we touch one another, when we are there in the most attentive or caring way. The hospital totally turned me onto these Comfort Washcloths. They're thick and pre-moistened. I'd take one and do my Mom's face, chest, arms and legs. She was always quite appreciative. I bought more of these when I came home for travel - I think they'd be great to have in a tote bag for a refreshing wipe during a busy day. Along with the signs and symptoms of death, you should be aware of how your actions may comfort those dying. The below are just a few ideas to give you an idea of how to help the dying. For emotional withdrawal: Understand that the emotional or physical withdrawal is not a personal affront to anyone; it's simply a sign of dying. And, dying is about those who are actually dying - it's not about anyone else. Try to schedule visits around the time when you most expect your elderly loved one to be alert - around meal times or after naps. Do not try to arouse the elderly loved one or force them into a conversation. Changes in appetite. Accept that you're still a great cook (!) and offer light meals of clear broth or a few crackers. Liquids are more important than solids so try to make drinks interesting. Ensure plus is 350 calories and is a great thing to give the elderly once a day. 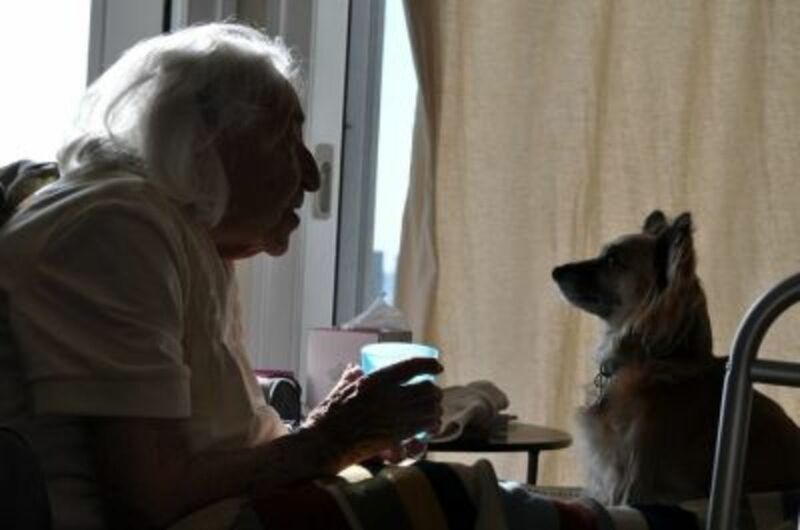 Try to get your elderly loved one to sip water or offer small ice chips. Every bit of moisture counts. Even coffee is something. Also, check with your senior citizen loved one's doctor and ask about an appetite enhancer. My mom is on Megace and I can't keep her full! UPDATE: As my mom starts in on the last phase of life, we've withheld the Megace. This was the hardest thing for me to do as I knew she's stop eating. I talked this over with Hospice and found a new perspective. As we age, our digestion also slows. By giving Mom Megace, she'd eat more than her body could handle and would bloat. Megace was no longer a good medication for her. I now give her anything she wants which is usually coffee (!) and a bit of cereal in the morning, a very light lunch of broth, and a dinner of coffee (!) and cereal again. I also found a chocolate milk that she loves - Cocoa Metro Belgian Chocolate Milk. The stuff is really really delicious. Check out their website to see if this chocolate milk is carried in a grocery near you: Cocoa Metro website. Changes in urination or defecation. Protect the surfaces your dying loved on uses by covering with plastic sheets, and bed chucks (disposable bed pads). I actually bought washable bed chucks which are much more comfortable. Depends are also a great item to protect the environment from urine or feces. Just make sure to never call depends "adult diapers" or to degrade the elderly for soiling themselves or their surroundings. At some point, it may be necessary to change to a different undergarment than traditional pull up Depends as it's too difficult to change them. Instead, find undergarments with tabs on the side so they'll fit snugly yet are still comfortable. I've placed a few choices below. if your elderly loved one is able to walk, you might schedule bathroom visits. Sometimes, the elderly won't even know they're going so it's best to try to stay ahead of the issue with scheduled visits. Make sure to change the elderly into new clothing shortly after an accident. Here's another read for you: my article on Incontinence in the elderly, and another: Male incontinence products. Changes in breathing. Turning the dying person on their side may help clear the airway and provide easier breathing. Ask the doctor or nurse about any troublesome breathing - morphine is frequently used to ease laborious breathing patterns. As you sit beside your dying loved one, you might find yourself unconsciously matching their breathing (and gasping) patterns. Try and be aware of this phenomenon and breath as normally as you can. Ask your loved one's doctor or Hospice nurse if morphine would be a help for breathing. Morphine relaxes the muscles and allows air to be more fully processed. It's helped my Mom a lot. Changes in body temperature. Cover chilled extremities with warm blankets but do not use electric blankets! 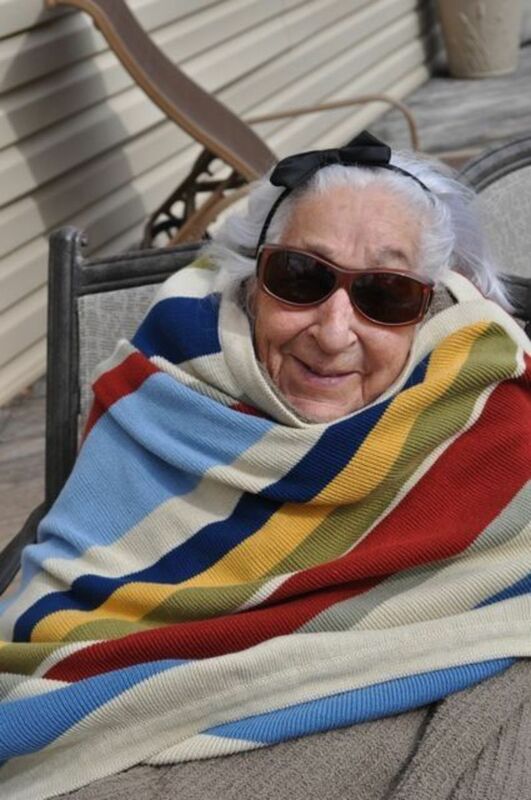 Electric blankets are a no-no around the elderly as they simply cannot tell when they're too hot and they can actually overheat under an electric blanket. Same goes for heating pads. I used a heating pad a few years ago on my Mom's aching back and didn't realize it was burning her. A trip to the doctor and some silvadene cream and she was back in action but I'd learned a painful (for her and me!) lesson. To easily check a senior citizen's temperature, consider purchasing one of the new forehead thermometers - makes it much easier to take a temperature. If a fever is evident. consider applying small amounts of rubbing alcohol to the body. Follow with a light dusting of baby powder which will provide additional cooling to the skin. Place a cool cloth on the head and wrists and, perhaps, reduce the room temperature. Confusion or disorientation. Identify yourself when you first speak to the elderly and tell them what tasks you're going to do before you do them. When visitors approach, say hello as a clue for your elderly loved one of who is coming. Here's an important tip: Hearing is the last sense to die. Make sure you don't discuss the condition of even a comatose loved one while they're there. They very well may hear and understand you. Speak in a normal voice and speak slowly. For the times when my Mom has been disoriented, I've just sat by her bed, held her hand, and told her that she didn't have to worry about anything - I was going to be there to handle everything. She seemed to calm down after hearing these words. I also tell my Mom every single day that I'm glad she's here living with me and I am. I honestly would not have her be anywhere else than in her bed and in my arms when her time comes. Restlessness or agitation. Make sure that the dying person has any medications needed to alleviate restlessness or agitation. Contact a nurse or doctor as needed. If possible, if your dying loved one is cognizant, ask them if there is anything they'd like you to do after their gone (this is a difficult conversation). Ask if there is anything they need or try and distract them from their condition by mentally painting a pleasant picture of something you've done in the past. For the times at night when Mom was restless, I have sat and spoken to her about how Dad would have liked the garden I'd planted, or how he would have loved the first tomato we had the other day. Frequently, she will calm down as I go deeper into thoughts of past times with my dad and her. Sometimes, simply holding her hand will calm her down. I will speak to her in a light voice until she settles down. The other thing I've done that I've found works for Mom is to put one of my lap dogs on her bed. Having a dog to place her hand upon usually stops any agitation. Here's another of my articles which might help: Death and dying - dealing with the restless patient. 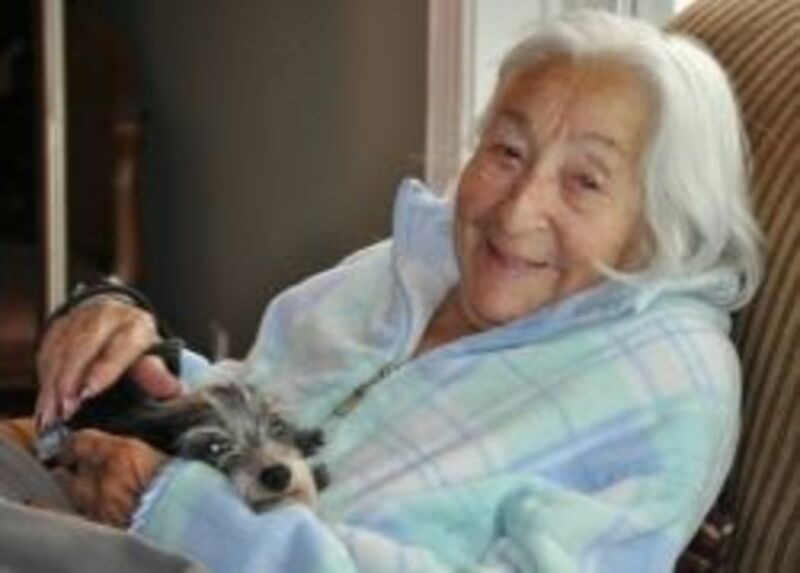 I am pleased to introduce my Mom, Gertie - Click on any small picture to enlarge it. Favorite photo of my Mom and Dad. They had a 65.5 year love affair. Mom and Rita share a smile. Mom and Gizmo - this is where Gizmo prefers to stay during the day. 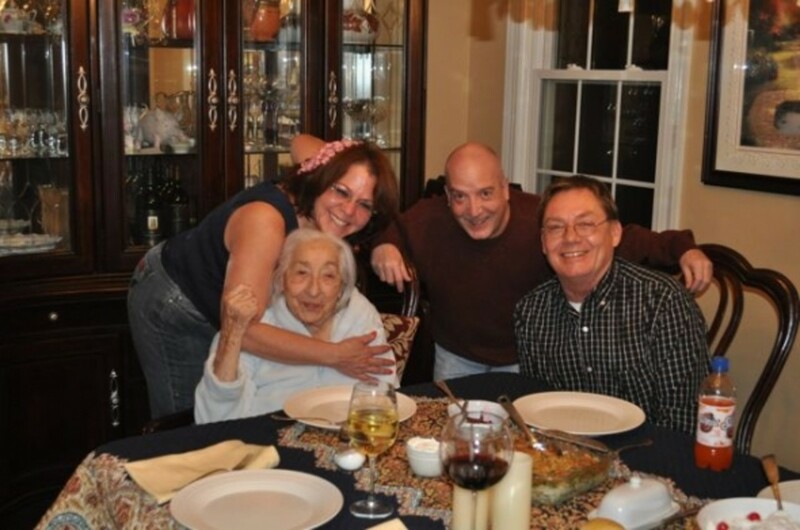 Jeff, Mark, Mom and me share a memory of a special dinner. We gussied Gertie up with the bow in her hair. John, my very very significant other, loves Gert almost as much as he loves me. My gorgeous parents on their 65th anniversary. Dad would die 10 months later. After Peggy Hazelwood (an amazing online writer friend) left me a comment regarding the smell of death, in true Lori fashion, I took to the internet to explore. 1. The shut down of the organs, particularly the liver and kidneys, produces chemical that are exuded in sweat of the dying. 2. Some think it could be changes in hormones. 3. Some think that the sweet smell comes from the breath of dying people and is attributed to acidosis. Life is not about weathering the storm - it's about learning to dance in the rain. Lori - I've been reading your articles. They are very good and spot-on advice (from my nurse prospective). After reading the article on death and dying, I wanted to share an experience that I was so fortunate to witness. I had a resident (in her late 90's) who was really in good health for her age. She was deeply religious and quiet natured. She told one of my staff nurses one day that she would like for us to call her daughters to come as this was her last day. She told me that she had a dream the night before and in it, she and her late husband had reviewed their life together. Then, this morning, God had spoken to her to tell her that it was her last day. We assessed her carefully - everything looked fine. As I helped her into her bed to rest until her daughters arrived, she pulled me down to her face and whispered in my ear "if I could only tell you how beautiful it is." She had such a look of peace and happiness. Her daughters came and then she wanted them to call the sons from Atlanta to come up right away - she wanted to say goodbye to them. She told her boys that. I checked on her and her daughters frequently that afternoon. Much of the time was spent reading scripture and talking family topics. One of the daughters came to my office at one point and said that her mom wanted to go out for ice cream - would that be OK? I went with her back to her mom's apartment and told her "sure you can go! " She replied that she wanted to go in her daughters red convertible! Before I left that day, I asked her "will I see you tomorrow?" Her response was "sure you will." Her daughters all kind of rolled their eyes and laughed like - so what is today all about? Her sons and all the families did get there that evening and they had a nice visit. At bedtime they left. The aid helped her into bed right at 10pm. Her grandfather clock chimed the hour. This beautiful woman closed her eyes and left this world. This experience was such --- I can't describe the feeling I had except that I felt blessed. That God would let me witness this. And you know - I did see her that day, but in my heart. Some of my nurses didn't "get it". All of her family did. I am so grateful that I did. The below information was gleaned from the Montgomery Hospice booklet we were given when Mom was enrolled in hospice. 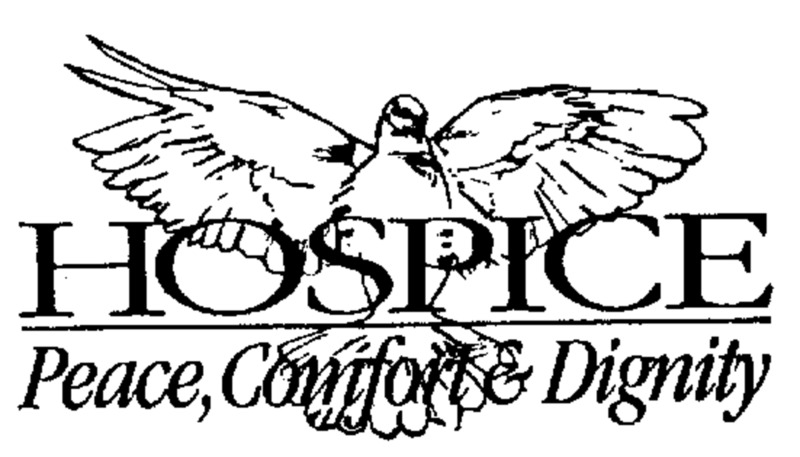 For more information about hospice, click and read my article Hospice: is it the right choice?. Resting more - you might see your loved one sleep all day. Possible surge of energy - remember to enjoy these times! Update 3/29/12: I wanted to update this section by saying that the very last moments of the dying may be difficult to watch. Some liken the breathing to "a fish out of water" and that's what I thought when Mom took her last breaths. Please be assured that your loved one is not suffering while exhibiting this type of breathing - it's simply what happens. Mom went quite peacefully, surrounded by friends and family in my own home. She won the game. This book got excellent reviews on Amazon.com and is a must read for those of us going through difficult times in our lives. I've always believed that things happen for a reason, and this book goes along with that theory. Death also brings out the very best in some people and the, sadly, the very worst in others. I read a lot of books to help me deal with my own fractured family. I came to the conclusion that I just had to let some people go. I can honestly say that I've never looked back. I also would really appreciate it if you would forward this article to any caregivers who are in the same boat as I am. I think this information needs to be shared. Thanks in advance. I welcome any and all comments about your experiences. - Please do leave me a comment. this is a beautiful story. Thank you so very, very much. Thank you so much for all you've written! My much loved ex mother in law lives with my husband and me. She is a wonderful person who has been like a mother to me. 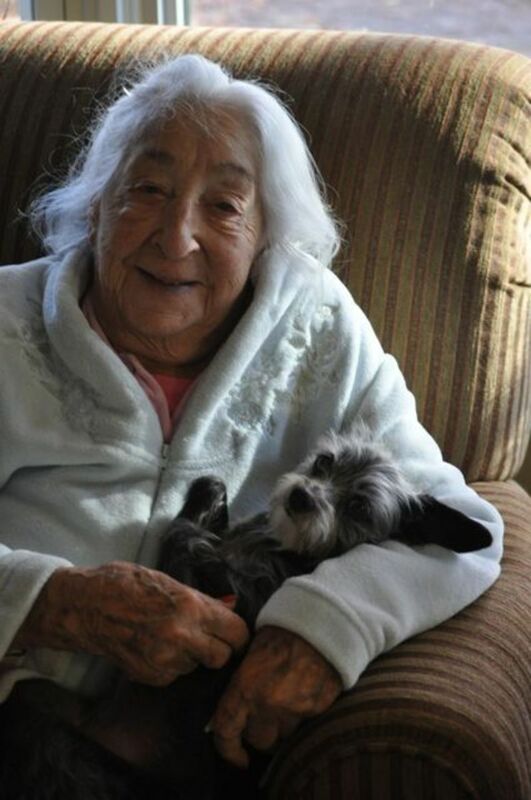 She is turning 96 in a couple of days which is why I was looking for gifts for the elderly and just happened upon your page. And one led to another! I appreciate so much all that you've written and I will be back for more. I've learned so much this evening and can't thank you enough. @gottaloveit2: I agree with you. Our departed loved ones would be happy to know that we continuously cherish every moment we had with them. Also, we should always keep in our hearts all these good memories because these are the best keepsakes we could forever treasure. @carliedun92: You are SO right. As I post this, I'm in a hospital waiting room, praying for a dear friend who is having surgery; I'm in the same waiting room where I waited for my darling Mom after her hip surgery in 2011. Memories are flooding back - mostly good ones. Death is really inevitable. You do not exactly know when will your life end. Hence, you must make the most out of the time given to you. Live life to the fullest and experience every single moment this life has to offer and when the right time comes, you are ready to accept death and you won't regret anything. I'm amazed at the volume of information here - thanks (seems so inappropriate). I googled signs of pending death which led me here - to you and your wonderful and thought-filled writings! My Mother is 94 and today she fell asleep while eating a strawberry blast from Sonic --- this was uncharacteristic ..though her short term memory basically hit and miss for years, she is alert and has never fallen asleep during the day while I'm visiting her (she is being cared for in a nursing home)... and never while eating ice cream -- which she ate without being persuaded to do so. I watched her sleep and noticed odd facial expressions and she kept opening her mouth. So, I shared my observations with her nurse - who reported Mother voicing earler today that she was very tired and did go back to sleep. All this is different, as Mother has been independent, taking herself to the bathroom, as well as feeding herself and verbalizing her needs, getting out of bed alone and walking in the hallway with the aid of only a walker. Although, I see her often, I've been mindful of her age and when the phone rings - the thought crosses my mind that it could be the nursing home. Lately, in that regard, I've included in my prayers a request for a sign, so I'm not totally caught off guard - selfish, I suppose. You know what they say about being careful what you ask for. I appreciate your writings so much.... I will continue to go through them.... Jeanie Champagne, Baton Rouge, Louisiana. This lens brought back memories of my aunt's death. I was young then but can now somehow relate to the moments mentioned here. I went through this recently with my 89 year old Aunt. My family was her only family within 2000 miles and she really needed help. She had dementia on top of her failing health. I wish we had this great information during that tough time. @sierradawn lm: Thank you so much for your kind words. This article never earns much but I'm so glad I wrote it - the comments are worth their weight in gold. This is definitely information that needs to be shared! I wished that I had this type of information available when I was hospice care giver for my dad. This was the hardest experience that i have been through and this information would have made it much easier to bear. What a wonderful, touching and informative lens! Thank you for sharing your experience. Very moving piece of personal writing. I admire you a great deal for being so frank and open about a delicate subject. Well done! @jen17 lm: Thank you SO much for the kind words - it meant the world to me to read an emotional post. I'm so sorry for your loss and hopeful that your grief is short. I'm doing well almost 2 years later. I just wanted to let you know how much I admire your lens. It deals with a very tough subject and you covered with such grace and compassion. I recently lost my Mom to cancer and could identify with so much you said. Yours is one of those really helpful lenses, one that is bookmark worthy and one that will help so many grieving people if they just read it. Thank you for your empathy and compassion. No wonder you received a purple star. This is a good lens. When I worked in a hospice...I would have to explain certain things like this to people. It is not easy. At all. Good lens, thank you for making it. This lens is so very helpful on so many levels. Caregivers or not, it is so important to be aware of these signs and prepare the best we can for them and for us. Congratulations on your purple star, lens of the day, and many blessings. A work of love all the way! Great lens. Thanks for sharing that. Such a great lens. It reminded me of my grandpa who I am missing tremendously. My grandma died a year ago. I still miss her everyday. Thank you for sharing my story. Blessed! 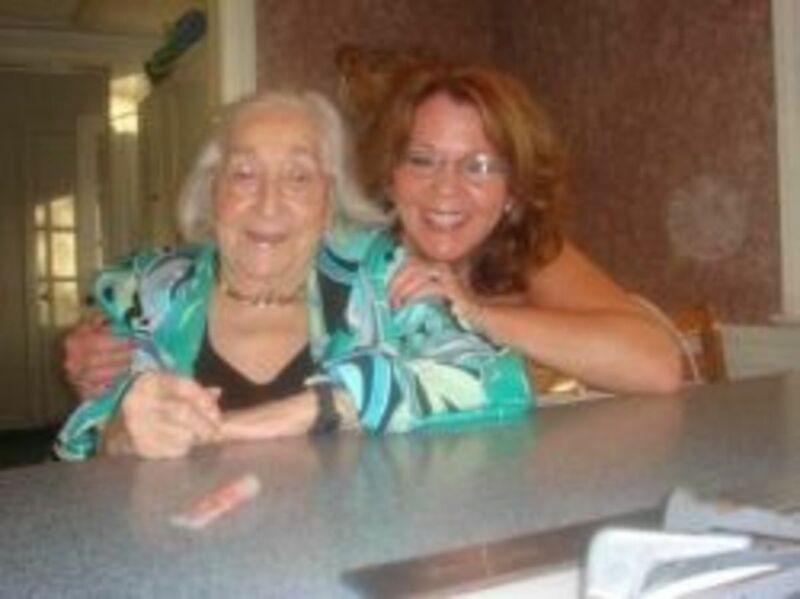 @gottaloveit2: Thank you Lori and yes, Mum passed very peacefully, with me holding her hand and telling her I love her. @gottaloveit2: Donna, my heart goes out to you and I want to echo what Lori says - you are doing everything you can so don't beat yourself up about what you can't do. My Dad was my Mum's carer but we had to put her into a Nursing Home because she needed personal care 24/7. There was no way my Dad could cope, even with qualified Carers coming in each day to help. After 9 months of visiting my Mum every single day, my Dad died, very suddenly. Mum's Care Home was an hour's drive away and because of my own health I could not drive to see her without help from my husband. It was impossible to visit Mum as often as I wanted to and there was no prospect of moving her. I would go through phases of dreadful guilt but as the Nursing Home said to me, I was doing everything I could as I too have children who need me. 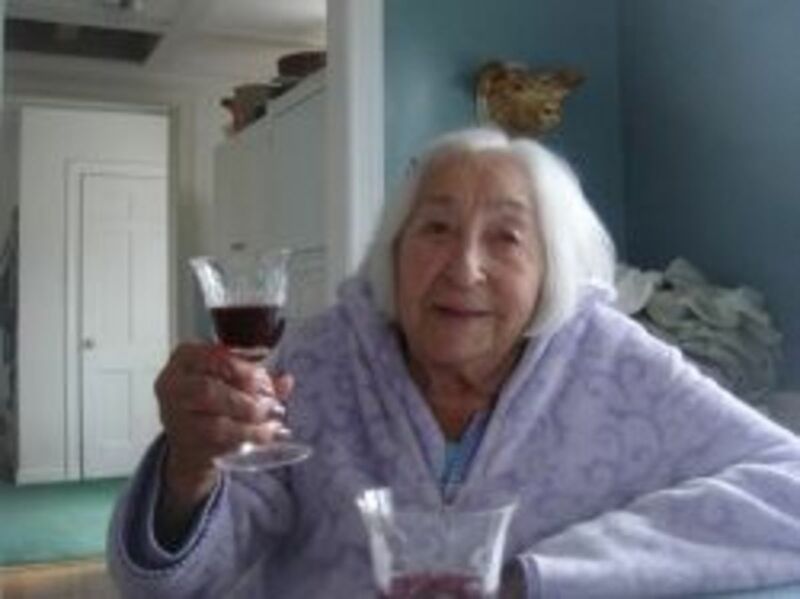 Today I am planning my dear Mum's funeral and yes, I know what you mean about that at every visit you wonder if it will be the last, so each time you are mentally saying goodbye. It is emotionally draining and exhausting. My thoughts are with you and your family Donna. I can't believe it has almost been a year already! This lens is so dear to my heart as I was my dying mom's caretaker, too. I will never forget those precious moments and am back to bless this lens. Thanks again for sharing such intimacy. I have never had the chance to read or talk with someone that had so many similar health issues as I have been living with my mother for the past 9 years. They started out more infrequently but since a major hemorhagic stroke in Aug 11, it has been ongoing. I am grateful for the good days and still confused on the bad ones. We have spurts of clarity, co2 retention, TIA's, seizures, pneumonia, ups, downs, ALF's, SNF's, rehab, med changes, incontinence, confusion, etc. I am emotionally raw and exhausted. I never in a million years thought I wouldn't continue to do it all myself but I am a mom to 3 kids 4-13; and I just couldn't keep up. I go every day and spend time, every Dr, question everything and advocate to the best of my ability.it is exhausting and emotionally draining, though I would do nothing different. I have felt so very alone as none of my friends have had to encounter this yet. Thank you for your blog. Thank you for sharing. I do not know where my story will end, though I suspect it won't be long. She is in the hospital with pneumonia again, and I can never get past is this the last time I'll see her? It's very hard to explain to those who haven't been there. My favorite lens of the year. Helpful, loving and sensitive ideas on a tough subject. I commend you for sharing your mom with the community, reading your lenses makes me feel like I knew her. Well done. We lost my mother-in-law recently and i recognise many of the signs wish you have outlined although I don't know about the time table. At the time MIL was in a care home and well looked after, we visited as often as possible but three months before her eventual death my youngest son suffered a bout of viral encephelitis ( very similar to meningitis) and of course we spent lots of time at his bedside in hospital and then looking after him at home. 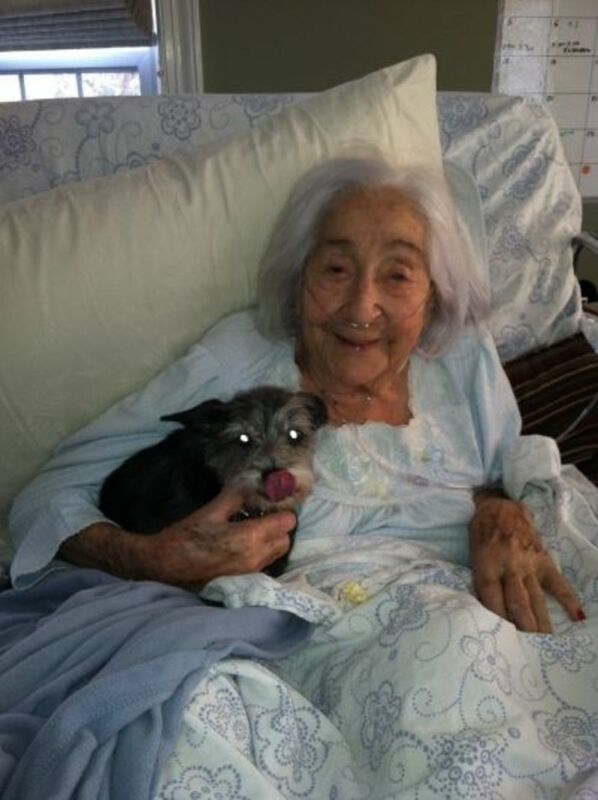 We were very much helped by the care home staff who made her last days very easy, or as easy as possible for her. A well-presented lens on a difficult subject. Really intense and informative. Thanks for sharing all this useful information. I am sure one day I will need to come back to it. Squid Angel blessed. This is a fascinating page, made all the more poignant because I don;t expect my onw dear Mum to survive much longer. Thank you for sharing this page, I have found it very comforting. After losing my younger brother, I spent years reading books trying to understand death. I felt I couldn't 'live' with life anymore without understanding, what's it all about, what comes next and all that. I basically felt I faced a fork in my life, I wanted to wallow in self pitty, but knew that wasn't good for me or my child. So I had to figure out how to live again. Thankfully I did, I came to terms with the lose of my brother, it still hurts some days, but it doesn't dominate my life. Following this trajic lose, my step dad became ill with cancer. Over the course of about 5 months, we watched him wither away and eventually he passed. We knew when the time was near, we feared it, but we knew. It was not as hard, because I had learned and dealt with death previously with my brother. I accepted his passing so much easier. I feel for my mom of course, going into her golden years, it is not fair, she lost her life partner. But even she is doing well and is happy. Death is very interesting, inevitable, unavoidable, we all face it eventually. Wooow, this great lens here at squidoo. I am really impressed. I made time to read all the content but it worths it, really! Hard to swallow, but it is a reality. Thanks for sharing such a "touching" story. It sounds like you and your Mom had a wonderful loving relationship that will live-on forever. My aunt passed away from breast cancer two years ago today. The last few weeks were something I can't explain---you did a very good job here with all of the tips, advice. The time line is very helpful. I used to work in the hospital as well for 16 years with breast cancer patients and the energy surge you described was always so interesting to me. This page will be extremely helpful to those facing this situation. I did cry reading your lens, you see I went through exactly what you did with my grandmother, she was 95 also when she died back in Dec 2009, it was a heartbreaking time, thanks for sharing. Very well thought out! As a part-time care-giver and a (almost) OTA, this page is an easy read for someone who might want more information. I hope you don't mind if I use your page to send people to through my career. Amazing, awe inspiring and incredible lens. Thank you so much for sharing and all the helpful info. I am so glad your mom had a peaceful passing, and a daughter that loved her so much. I wish I had read this before my father's prolonged demise last summer. I would have been able to help his wife more. I will insist that my children read this (though as Kenny Chesney says, "Everybody wants to go to heaven--they just don't want to go now!" Although your lens was very hard for me to read and relive my husband's death 4 years ago, it answered some questions I had about the last moments with him, my father and mother. I've always said I never want to go through that again but If the time comes with another loved one, I don't want to be anywhere else. Thankyou for such a well written article on such a touching subject. Today marks the one year anniversary of my Nan's death and I miss her dearly. I'd believe in life after death, so I am comforted in thinking she is still in existence somewhere and definitely in my heart. I appreciate sharing your personal experience. I have been caregiver for 3 years. 2 of them was for individuals with special needs. I changed gears and began working with the elderly. My first patient turned into a hospice patient (we were hired initially for stroke recovery). I learned a lot--from him. his family, the nurses etc. He was the nicest, graciousgoopahoy man I had ever met. A gentleman in every sense of the world. Your article was well-written and very informative. Most of the time, it is the family we are "treating" once the patient has accepted death. Your mom was very fortunate to have a daughter like you. Thank you for sharing your story ... and your mom ... with us. Hospice is wonderful. With their help, I was able to take my darling hubby - dying of brain cancer - home where he wanted to be - away from the hospital atmosphere he so detested. His prognosis was weeks to months -- he had a mere 19 more days. Almost all of the signs &amp; symptoms you describe here occurred and Hospice helped prepare me so that I was able to remain patient and calm with him. Two days before he died, he slipped into a coma. Our youngest son was with me, but the other two children had had to return home 1,000 miles away after coming to visit with their dad a week earlier. We called each of them that night we thought Bob was going and I held the phone to his ear as they said their final goodbyes. We don't know if he could hear them, but we all like to think he did. It meant a great deal to his other son and daughter to be able to 'speak' their heart to their dad. Bob lived 2 more days and my son &amp; I sat in his room the whole last day to be near him, talking to him; sharing stories. Bob &amp; I were married for 45 wonderful years and knew each other 47 years. He was my best friend; my soulmate. I know we have been together in other lives... and that we will be together again some day. He lives on in my heart every day and will never be forgotten. @anonymous: Thank you SO much for the beautiful comment. I had the best parents in the world; they raised me to give back and that's what I hope some of these articles do. How wonderful that you could share this experience with us. I found that I did bless this lens before. Such a wonderful heartfelt piece that I wish I could bless it again! I read this for the second time. Thank you for writing about your experience. It is very helpful. Your lens is very soft and emotional.I respect you for loving and caring your mother so much.This shows your grace and humanity. "People facing death, young or old, do not think about what accolades they have earned or what social functions they have attended, what positions they have held, or even how much wealth they have accumulated. At the end, what is on their minds is who they loved and who loved them, who respected them, their family and friends; that circle is everything and is a good measure of oneâs life and whether or not one has made a difference." (Dr.Bernadine Healy quote) Book by her husband Dr.Floyd Loop, former Director Cleveland Clinic. @sasta10 lm: Thank you SO much for the beautiful comment. I really appreciate it. This should be the lens of the year. Great lens and one that touched my heart. Thanks for sharing your experience, a lot can be learned from this lens. Thank you for sharing so much of this information. My grandfather had 3 strokes earlier this year and has quickly gone downhill from there. It's nice to know an idea of what to expect. Also love the pictures with your mom and the dog. Adorable. Thanks again for a great lens. @Lareene: I'm so sorry for your loss. I lost my sister when she was only 36. That type of death (sudden death) brings a different grief than what I've experienced with my Mom's death. @Sammy24: You've made an excellent point - dying is about the person dying and no one else. If family and friends get that one point, life (and death) would be so much easier. @WhitePineLane: Thanks so much for your warm comment. I wrote this article originally because I wanted/needed to know what to expect. I'd never witnessed the death of a person before and was scared at first. Finding that there is a natural progression eased my fears and allowed me to ease my Mom's too. I wish I'd this wonderful resource when caring for my grandmother temporarily many years ago. Thanks for a great lens! Some experiences of death can be quite harrowing. I have had friends and relatives die and the experiences with each have been very different, most of them positive, some not so much. My Mom is 93 and I see some of the same things in her behavior. We lost my Dad 2.5 years ago and since then she has been depressed, just wanting to die. However, she also uses her situation to get more attention. And that is fine because she deserves it. It's difficult for everyone to deal with the negativity and constant complaining but I gladly do it. After all, she's my Mom. And to me she's the perfect Mom. I wish everyone could have their mom around for as long as I have. Thank you so much for this beautiful, and informative article. You and your mom's generous sharing is a true blessing. I hope you are doing well. I WAS IN LOVE WITH MY BOYFRIEND HE DUMPED ME FOR ANOTHER GIRL I WAS THE PERSON WHO PAID FOR HIS SCHOOLS THROUGHOUT HIS SCHOOLING DAYS BUT HE WAS NEVER THANKFUL UNTIL I FOUND A GREAT SPELL CASTER ONIHA WHO BROUGHT HIM BACK TO ME, AND NOW HE IS COMMITTED TO ME ALL THIS THINGS WERE DONE IN JUST 4DAYS BY THE POWERFUL SPELL OF THERAPIST ONIHA,THANKS TO ONIHA HE IS NOW THE KIND OF MAN I WANT HIM TO BE WE ARE GETTING MARRIED 26TH OF OCTOBER OF 2012 IF YOU HAVE ANY KIND OF PROBLEM PLEASE CONTACT HIM ON HIS EMAIL ON : winexbackspell@gmail.com JUST TELL HIM ALL YOUR PROBLEMS AND IN LESS THAN 4 DAYS YOU WILL BE HAPPY JUST LIKE MINE. Thank you. Seven days after my wife's great aunt passed was Valentine's Day. Uncle Frank said that he hadn't missed one in 65 years and he wasn't going to start now. 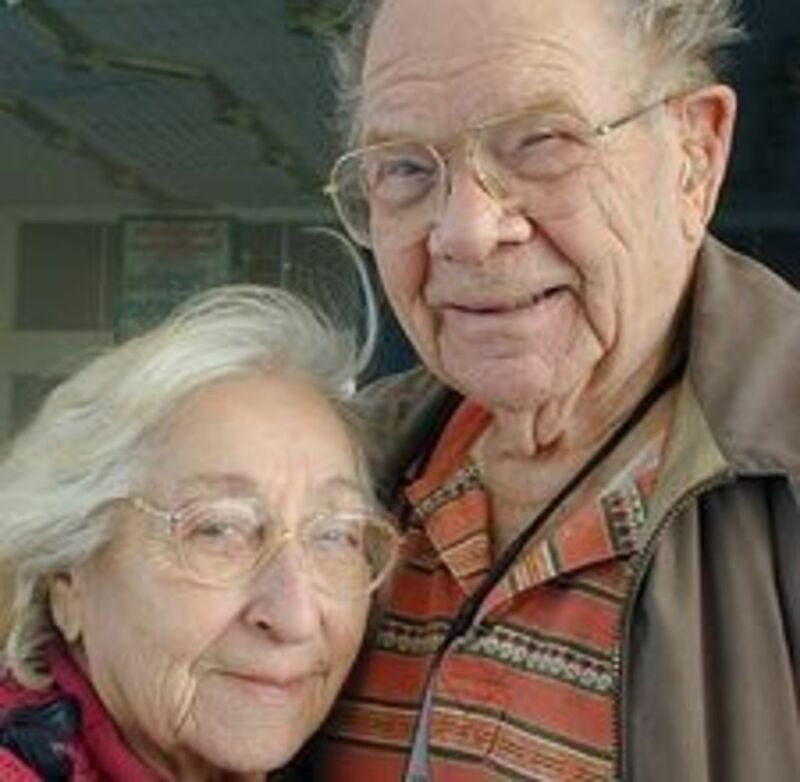 He passed either just before or on Valentine's Day to be with her. Thanks for sharing. My husband,myself and my daughter were with his sister the night she died. We all slept in the room with her so she wasn't alone. When I awoke I think she had already passed as her breathing changed and she was white and cold. It was a very hard thing for my 17 year old to go through as for us to. I am also a caregiver....it is such a blessing! Thank you for this information. I know you and your mom were a blessing to each other! What a thoughtful and thoughtfully constructed lens on what has to be possibly the toughest topic in the world. Thank you for taking the time to create this lens, because it can't have been easy at times. It is really a special topic! Thank you for sharing! And it is very useful! We lost my father-in-law (who had been Dad to me for over 40 years) in February. We witnessed almost all the changes and stages you write about. It's sad and scary, but better to be prepared and know that they are not in pain with the unusual actions we see. Thank you for writing on this painful but necessary topic. I just discovered this lens and I have tears on eyes as it touches me so much. My mom is in another country so far about 10,000 kms and reading your articles here, I remember her. Who doesn't love a mother? She did everything for the whole family, she's the pillar of the home. She never hurts anyone. I lost my grandma without seeing her 5 years. It really hurts!!! Thanks for letting me remembers good moments shared with my mom. I love you and I keep reading your lens! Excellent Lens, and congratulations on the honor of the Lens of the Day. I lost both my mother, at 90, and my dad, at 95Â½, within the last 3Â½ years. It was hard to see them go. Your Lens is accurate, as we saw almost all of the signs to which you referred, with both of their impending passings. We miss them so, but they were dearly beloved when alive, and shall never be forgotten. It is true, being a human being is 100% fatal - no one gets out of this life alive. Well, Enoch did, but we haven't heard of anyone doing it recently. This lens has been very interesting for me. I have lost two aunts in the last 30 days. Both my parents will be 80 within the next nine months. The end of life has been on my mind a lot lately. All the things you discuss here are very good and comforting to know ahead of time, and I think will make me not so upset/afraid when the time finally comes to say goodbye to my parents. I thank you for a very helpful and well written article. And hearty congrats for a well deserved LOTD! @gottaloveit2: The only sounds she was able to make was her near constant groaning lasting for five days so I was her voice and I failed to use it. Her choice would have to take the overdose she was a strong person but could not tolerate pain. Thank you for a lovely and informative lens, and congratulations on LOTD! As a nurse, I have witnessed death many times, and your description is completely accurate. I can add, that not one of the people whose final moments I shared seemed afraid or even apprehensive as death came. My condolences on the loss of your dear mother. She looks so sweet and personable, I'm sure she was love by all who knew her. @Gatortail2: I don't think you mistreated her at all - choosing an overdose was not your decision but hers. I do hear you though - there were nights when I gave Mom a little extra (certainly not enough to do that kind of thing) but to ease her breathing. I always called Hospice and reported the extra - they never once chastised me. You did the best you could given a very tough decision. Be happy that she knew you were there for her and you loved her. I wish you peace. My grandmother went into hospice four years ago her family doctor who also served as her friend because he was the son of her childhood best friend told me with a wink of his eye he could relieve her pain with morphine. I knew what he ment because he also had cancer so he had little fear of losing his medical liecense for giving her a morphine overdose to stop her heart. I said no, after which I had three years of sleepless nights because of the incredible pain I forced on her. I mistreated one of the finest persons that I ever had in my life by stopping this truly caring offer by her doctor. If I must make a choice like this again I will say yes. I cannot believe it myself but I read your lens from beginning to end and I thought it was a very well written lens and very absorbing. I guess everyone has to deal with this in someway or another someday. Your mum looks like such a lovely lady!